U.P. 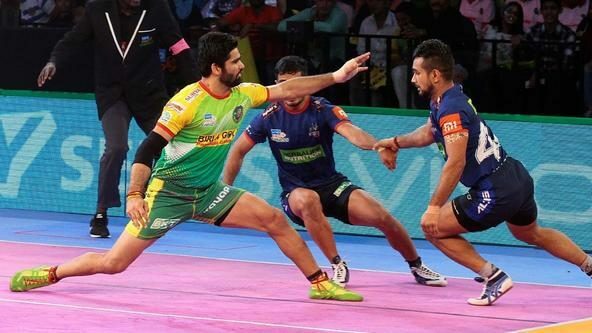 Yoddha will have to wait till the final day of the Lucknow leg for their first victory at home after an electrifying 33-33 draw with Tamil Thalaivas at the Babu Banarasi Das Indoor Stadium. The home side have now lost four of their five home matches, and on Wednesday squandered a first-half lead of 19-11. 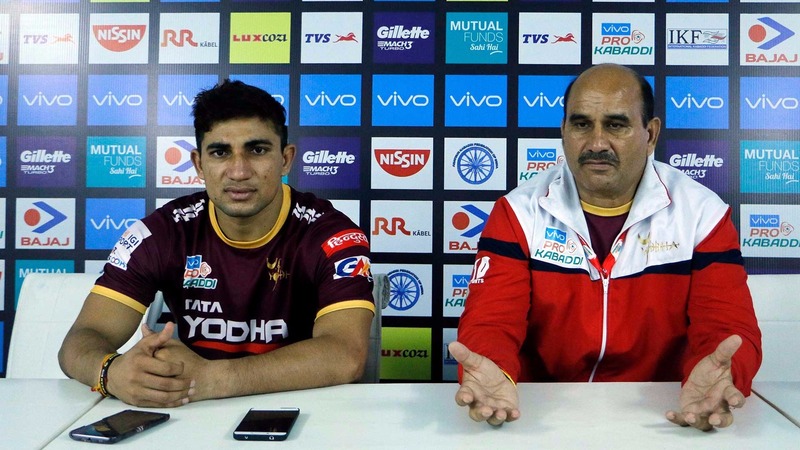 Speaking to the media at the post-match press conference, Lucknow assistant coach Arjun Singh opined that there were a variety of reasons behind Chennai’s second-half resurgence. “The captain [Nitin Tomar] got hit and picked up an injury. We then had to slow down a bit. 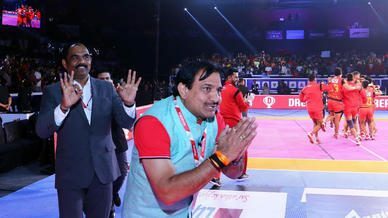 Then they [Tamil Thalaivas] also played very well, particularly Ajay Thakur. We were even, then Rishank [Devadiga] made a hasty move and he got caught out. We got a bit loose in the final five minutes,” he said. Singh also believes the pressure of winning at home has had a negative effect on his players. “We went into the match today not with the intention of winning, but rather just to play. The pressure that we have been facing to win was making the players indecisive - should I catch him, should I not - and then you make mistakes. 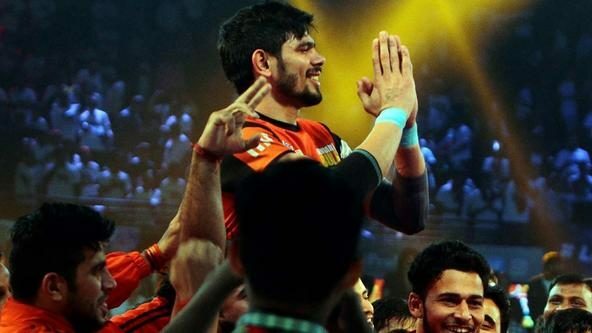 So, we decided to just play it out, and don't think about winning or losing, to think that we were playing in Mumbai or Kolkata and not at home... that was the plan, to play freely,” he said. 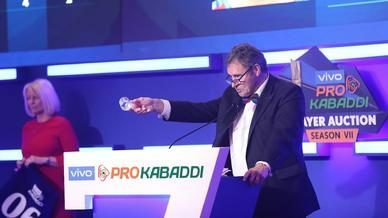 Tamil Thalaivas coach K Baskaran, on the other hand, admitted that his players’ inability to execute their strategy in the opening half cost them the win. “During training, we had practised our strategy often. Because of that, our players got very confident. We started our strategy in the first half, but unfortunately the support wasn't there. We had worked hard towards our strategy. It was a failure. That's why they got the advantage in the first half. In the second half, I had a lot of confidence in our players. Somehow, by talking to them, motivating them, I got them back up again,” he said.